Please see full prescribing and safety information, including boxed warning, for SODIUM NITROPRUSSIDE vials. Sodium Nitroprusside Injection is not suitable for direct injection. The solution must be further diluted in sterile 5% dextrose injection before infusion. 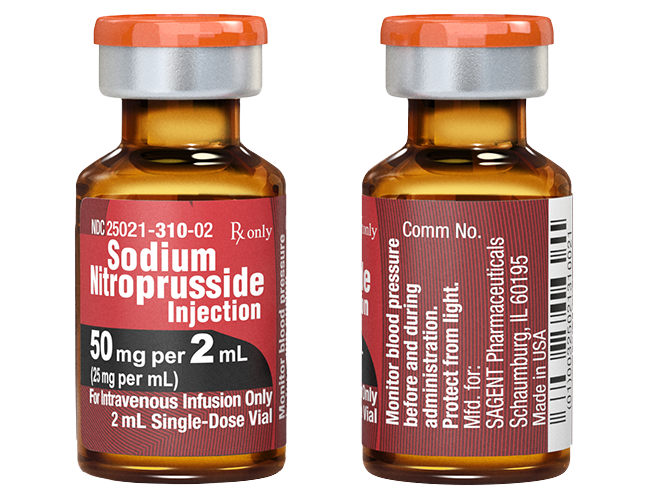 Sodium Nitroprusside can cause precipitous decreases in blood pressure (see DOSAGE AND ADMINISTRATION). In patients not properly monitored, these decreases can lead to irreversible ischemic injuries or death. 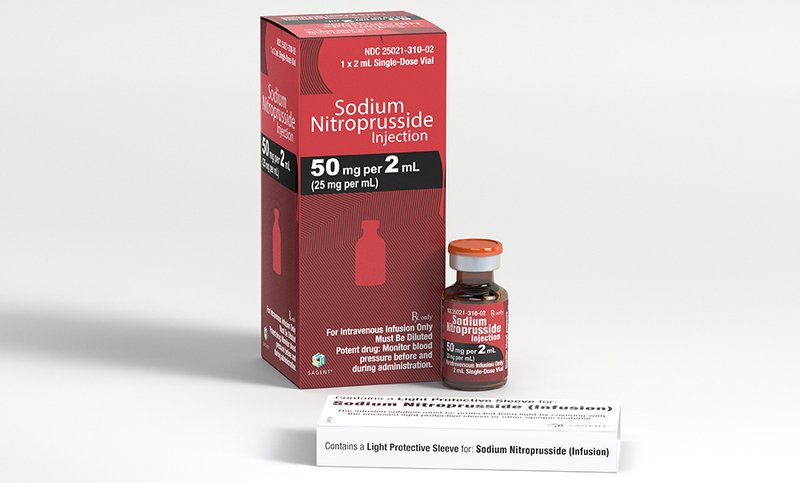 Sodium nitroprusside should be used only when available equipment and personnel allow blood pressure to be continuously monitored. Except when used briefly or at low (< 2 mcg/kg/min) infusion rates, sodium nitroprusside gives rise to important quantities of cyanide ion, which can reach toxic, potentially lethal levels (see WARNINGS). The usual dose rate is 0.5 to 10 mcg/kg/min, but infusion at the maximum dose rate should never last more than 10 minutes. If blood pressure has not been adequately controlled after 10 minutes of infusion at the maximum rate, administration of sodium nitroprusside should be terminated immediately.